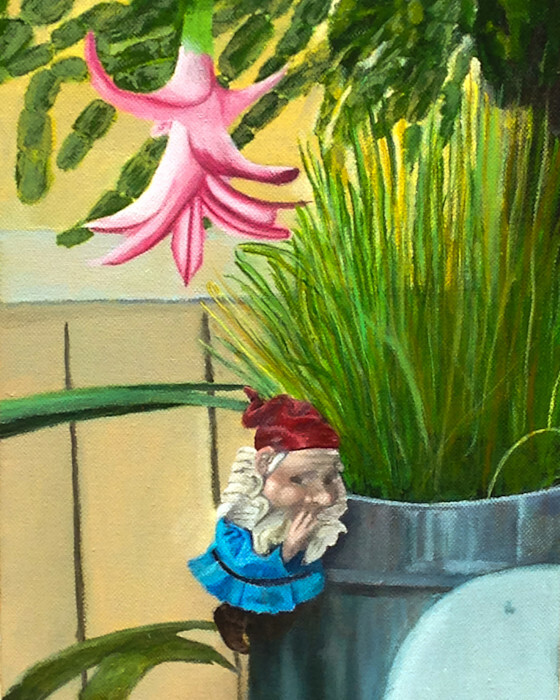 This is a 9x12 original oil painting of a Gnome under an Easter Cactus in bloom. This Gnome set up, on the side of the pitcher with grass growing in it, was a baby shower gift at my dear friend Nicole's baby shower for her first, Magnolia. I took it home after the baby shower, and my Easter Cactus bloomed above it! 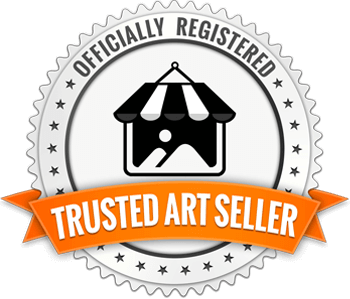 It's a small piece, 9x12, painted in oil using the style of relaism.